Prevention of fruit losses and maintaining optimum quality for customers depends largely on harvest timing and good storage conditions. Each type of fruit has special requirements, but general needs involve harvest at the right stage of maturity or ripeness and refrigeration to slow quality loss and prevent decay. 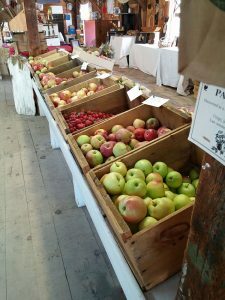 This guide will provide the necessary information for harvest and storage of tree fruits that are produced in Maine. If you would like to know more about tree fruit production or other types of agriculture, please contact the University of Maine Cooperative Extension or the Highmoor Farm or visit the UMaine Extension website.